When Chromebooks first came out, it would’ve been a pipe dream to believe they could replace Macs for designers. They were limited by power, software, and screen quality. Even today, few would think to trade out their Apple computer for a Chrome device. I’m here to tell you it’s possible, and I’ll even share the tips that made it so. For the past year I’ve been working as a professional, paid (yes, paid!) designer using a Chromebook as my primary computer. Well, Square, my previous company, persuaded me to make the move. They decided to transition some people over for a range of reasons — from the security of Chromebooks (they’re way safe) to their affordability to the fact that files are always backed up and synced. I was wary at first…of course. Would this Chrome computer sit on my desk, collecting dust after a day of usage due to my preference for macOS? I’ve been designing with Figma for the previous three years (I was lucky enough to get an alpha invite), so my primary design software was already in the cloud. But I had no idea how Chromebooks would handle performance, or how I’d go about meeting my other design needs. It’s been an adjustment, but overall, I’ve gone Chromebook and I’ll never go back. Below is what you need to know if you’re thinking of making the switch as a designer. Performance has never been an issue. Figma is super fast everywhere I’ve used it, and works great across the three different Chromebooks I’ve tried. There are always other tools you need for design: Slack, Grammarly, accessibility testing tool Funkify, and G Suite are all web-based, so I didn’t have issues there either. Some things to watch out for: Currently, there is no ability to install custom typefaces, but Google Fonts offers a ton of great options and you have access to all of them. Additionally, sometimes you are limited by your access to the internet, however the Chromebook still has some functionality when you are offline. The touchscreen computer has been surprisingly nice to have for scrolling through long documents and Slack conversations or even navigating around a canvas. There are a bunch of Chrome OS devices, what should I use to design? There’s a ton of options for Chrome hardware, and I’ve looked at all of them. I first tried an HP Chromebook, then I experimented with the stylus and touchscreen of the Samsung Pro. Now, I have the Google Pixelbook, which is my favorite so far. The Pixelbook starts at $999, a premium price-point for Chrome devices, but it’s still less than a third of the cost of my previous MacBook Pro. I’m even eager to try some of the lower cost Chrome devices — even a Chromebit, the $85 computer in an HDMI stick. For now, I’m sticking with the Pixelbook because of the quality of the keyboard and trackpad. For video and audio editing, I keep a Mac around with Final Cut Pro and Logic Pro. I’m confident that I’ll turn to web-based alternatives for video and audio editing in the future, and if it wasn’t part of my design work, then I would rely solely on Chrome. As a designer, not having to worry about backing up files or even saving is a relief. Losing work never feels good, and having access to your files from any browser makes working in multiple places or with multiple devices easier. You’re able to let go of the idea of files tied to a device. As web technologies continue to advance, so much is possible on the web. 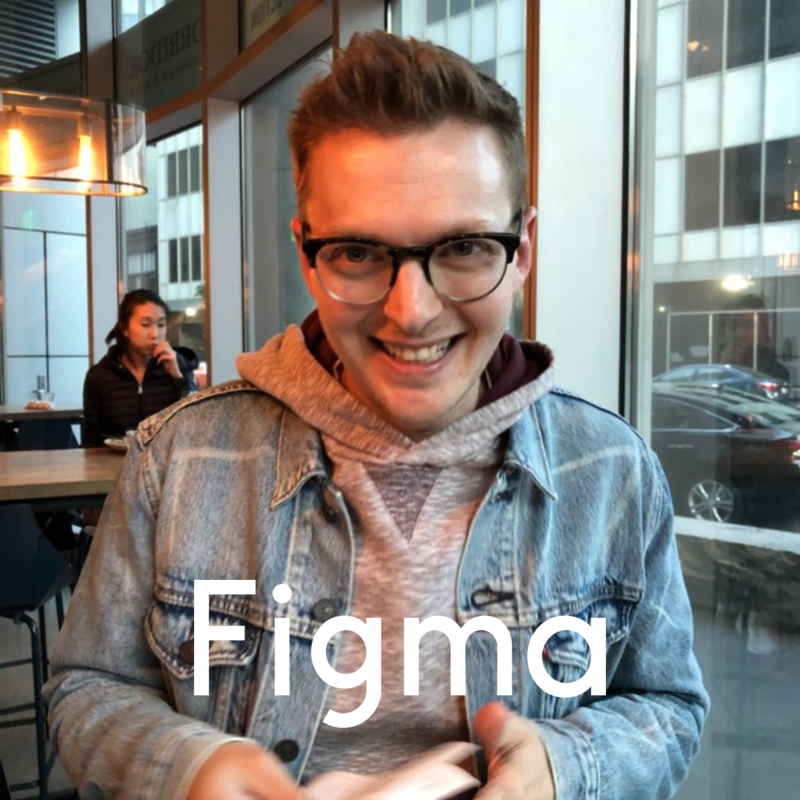 Figma started after co-founder Evan Wallace used WebGL to make an interactive swimming pool and sphere with real-time rendering and realistic physics. This demonstration proved that browsers were ready to support virtually any type of software — especially professional design tools. The web as a platform is unrivaled for accessibility. For the most part, the web is open; anyone can build for it, and there isn’t corporate ownership nor app store evaluation processes as a gateway to your customers. More individuals and teams have access to building and publishing to the web than any operating system platform could, further distributing the access to building products.